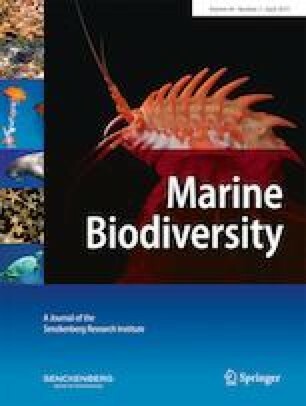 An interactive (multi-access) global identification key (OncIdent) has been developed for the pelagic marine microcopepod family Oncaeidae and made accessible online. Details of the general approach and development of the key are given in Böttger-Schnack and Schnack (J Nat Hist 49:2727–2741, 2015). After beta-testing, new additions include illustrations for all species and feature attributes considered, plus a textual summary of each species’ feature states in the key. Additional taxonomic notes are given where required, highlighting morphological or molecular genetic peculiarities or problems, with links to large data bases leading directly to more comprehensive information about each species. The present paper briefly reviews the taxonomic background for key construction, summarizes the opportunities and limitations of the current online version OncIdent2.0, and provides guidance for its practical use. We wish to thank Prof. Dr. P. Martinez Arbizu and Dr. J. Renz-Gehnke (Senckenberg Research Institute, German Centre for Marine Biodiversity Research) for organizational help and support. The constructive comments of H. Ueda (Prof. em. Kochi University, Japan) on the first version of the key are gratefully acknowledged. We are thankful also for the helpful comments of an anonymous referee on the manuscript and the editor’s work on the English text. This contribution is based on a study supported by a research grant from the German Science Foundation to RBS [Schn 455/6-1].